Search Engine Optimization (SEO) is a very commonly used, and often misunderstood term for the effort of optimizing your website to be better received, and found by search engines. This is achieved by working on many different things on your website such as, link building, keyword optimization, content optimization, accessing your sites strengths and weaknesses. Every companies website SEO is unique and their is no universal process. Online Presence Management (OPM) is a very powerful service that we offer to ensure that your presence is maximized throughout the internet. SEO, is very important to your website for it to be ranked better by search engines, but what about how the search engines view the other potential hundreds of online business profile websites view your website? It is vitally important for your information and content across these websites to be accurate and fully optimized, our Online Presence Management (OPM) service makes sure that your online presence is fully optimized and stays that way. 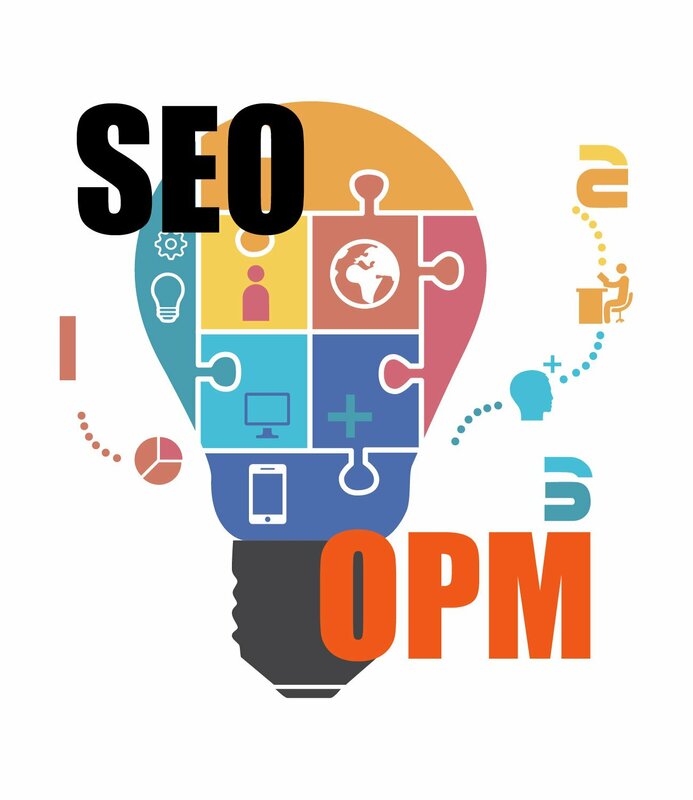 Why Do You Need SEO & OPM? Our Search Engine Optimization (SEO) and Online Presence Management (OPM) services will benefit your business exponentially. Imagine opening up a new restaurant, with no menu, no signs, no advertising, and down a 40 mile long dead end road. Probably wouldn’t be a very popular and well visited restaurant right? We prevent your website from being this dead end restaurant, by ensuring that not only your onsite SEO is superb, but that your online presence is maximized and accurate. All of this effort combined will push your search engine rankings higher, thus driving more traffic and customers to you. Great SEO & Online Presence results in greater site traffic. Poor SEO & Online Presence usually results in largely diminished visitor counts and site traffic. With good SEO and Online Presence you will have a better presence on the major search engines and will greatly improve your branding and appearance. With over 250 million+ websites on the internet, more than less have terrible SEO and Online Presence Management. Stand out and have an edge over other sites and more importantly, your competitors. SEO & OPM plays a large part in determining how successful your website is. Luckily we have the knowledge, techniques, and practices to ensure that your website it properly optimized. The largest most used website and search engine in the world is Google. Google has an extremely intelligent system that constantly scans the internet for the best and most optimized websites. Our SEO & OPM services will also benefit you on other popular services like Bing and Yahoo. You will be designated your own dedicated SEO/OPM Manager to facilitate your service. Your account manager will learn your business and be your primary contact for your Search Engine Optimization and Online Presence Management. You will have daily 24/7 access to contact your manager. We will look at your website and access its on site SEO. We will then take into account what needs to be optimized and do so using keyword, content, and site structure optimization. Once your website is fully optimized for search engines we will move on to the Online Presence Management (OPM) portion of your service. Before we can start to optimize your online business profiles and listings on external websites across the internet. We must first assess what listing sites your business should be on. For example their are some platforms such as google business, that every business should be on. Although, depending on your business and industry you may be on a site specifically for your industry (e.g. Grubhub for restaurants). Once we identify every site that your business is currently on and should be on, we will being populating those sites with correct information and content about your business. We will also claim any unclaimed business listings. There are many platforms that offer integration for websites, we will make sure to explore any possible integrations and use them if beneficial. We will ensure that your online presence profiles are up to date and stay that way. Many different platforms require maintenance and content updates. Our team will make sure that all of your optimized website profiles stay up to date and anyone that become available are optimized.